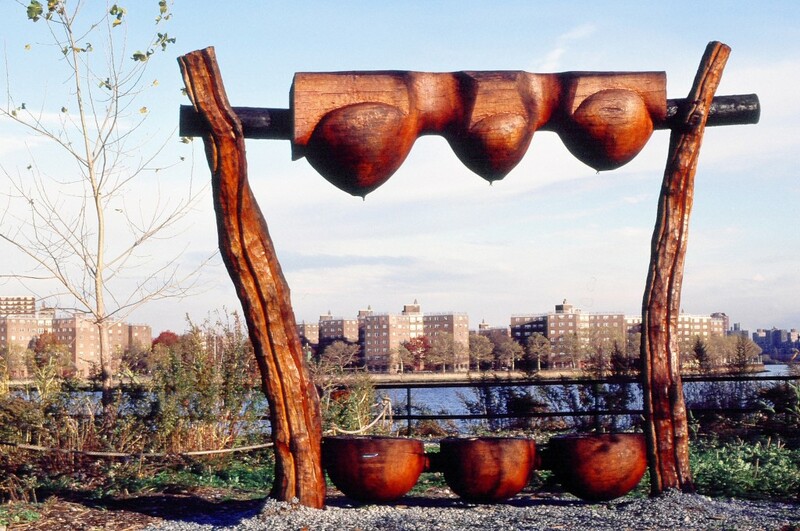 On Fertile Ground was presented on May 23rd 1994 for the Socrates Sculpture Park inauguration into the NYC Park's Dept. system. The trunk of wood used to make this piece was from a Blue Atlas Cedar. The tree was given by the Emperor of Japan for the 1963 World's Fair. It was killed during transplanting to make room for the expansion of the tennis center at Flushing Meadow's Corona Park. 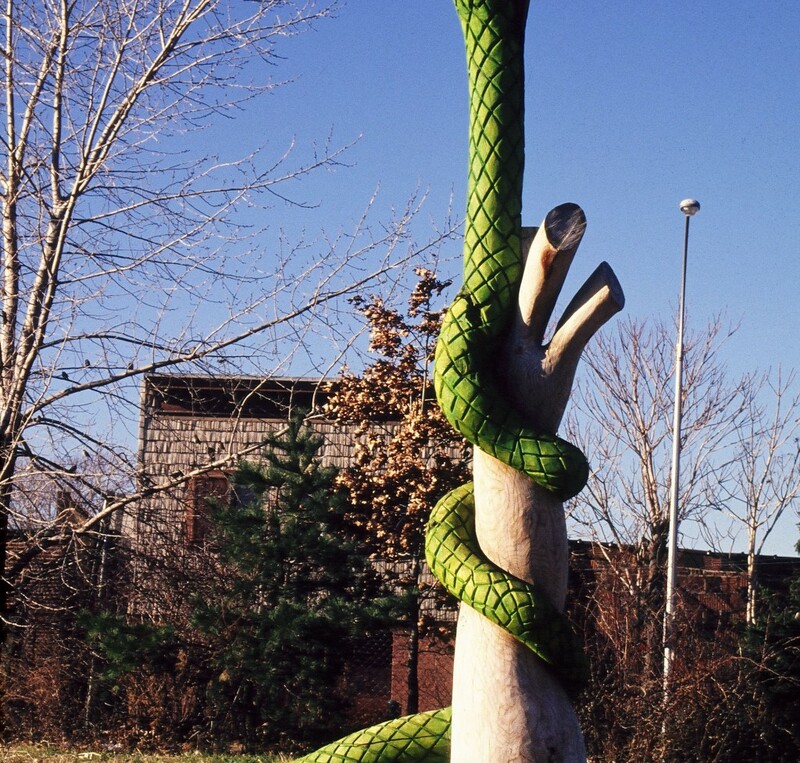 The image of the serpent and egg became a picture in my mind during the phone conversation when this piece of wood was offered to me. It was a pleasure to be a part of that beautiful day in May, and once again another sculpture rises on fertile ground. Thank you. I have no secrets. My work is drawn directly from experiences and preceptions often painful, some ugly, some brutal which somehow when transposed into sculpture bbecome hopeful and inviting instead of fatalistic. For me, this is the reason for making art. 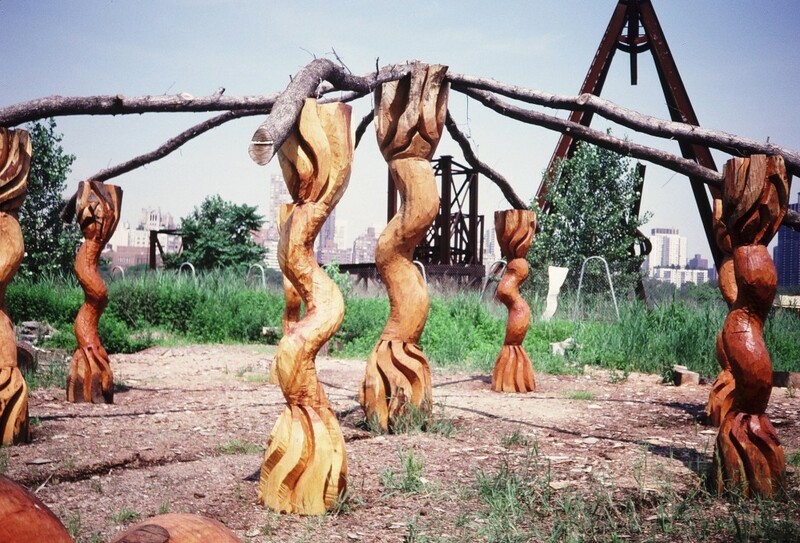 Consequently, my sculptures are not objects, but places, places to be entered. They relate to the ground, some seeming to have come up out of the earth rather than having been planted there. Often this work is referred to as primitive, but if primitive means drawing from one's own contemporary preceptions and tribal remembrance, shaping these into sculpture from raw material with one's own hand, I suppose I am primitive. Many thanks to Mark and Enrico for their true support and assistance, allowing me to develop my work without constraint.